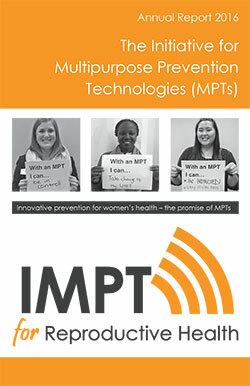 The IMPT’s second Annual Report highlights another year of the Initiative’s accomplishments. This includes an overview of the year’s technical convenings, task force work in Kenya, the IMPT’s role in numerous conferences, as well as work toward market access coordination, and other points of potential interest. Building from 2015, this report also provides an overview of the MPT product pipeline database as well as an update on the investment tracking activity.